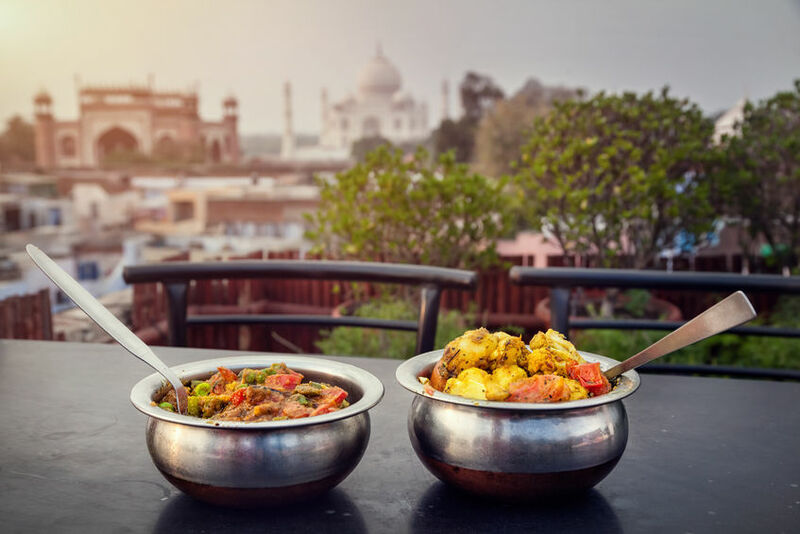 There are lots of great cities in the United States for food enthusiasts, but for some real adventure here are some foreign destinations with amazing gastro experiences that you will need your passport to reach. Of course be sure that your passport isn’t expired (it’s easy to renew your passport if it is) or apply for your new passport today if you want to experience a taste-bud adventure that you just won’t find at home. This Vietnamese city is famous for its delicious street food. Visitors are advised to try the many variations of pho tiu noodles, and com tam, a broken rice dish that is topped with pork, fish sauce, and egg. Another local delicacy is banh mi, which is a stuffed baguette filled with everything from crispy onions to pate. If you need a pick me up on your travels, grab a cup of ca phe trung, which is the city’s traditional egg coffee. This beverage combines coffee and egg whites, and is sweetened with sugar. Locals drink it hot and cold. English cuisine doesn’t have the best international reputation. Indeed, it may conjure up images of beans on toast and stale pastries. London, however, is nothing if not a haven for foodies. The city has long been famous for its Indian food, supplying Londoners with everything from spicy vegetarian stews to lamb shank rogan josh. British culinary traditions have also been getting an upgrade as of late. Dinner by Heston Blumenthal, a meeting place for the world’s epicureans, combines classic British meals with the most experimental culinary techniques. If it’s Michelin stars you’re after, take the next flight to Japan. This city is full of excellent culinary options, serving classics like sushi and some unexpected options. It has everything from okonomiyaki pancakes to exciting tofu creations to unagi eel. If you don’t have room in the budget for too many Michelin stars, don’t fret. Tokyo is a wallet-friendly city for foodies. Great local food can be found in izakaya, small pubs that serve small meals with beer and sake. Vancouver offers every type of international cuisine, and the city is a veritable smorgasbord of culinary delights. This West Coast destination has a number of Asian transplants, which means it has top-notch Chinese, Japanese, and Indian food. Travelers on the lookout for great food will find everything from dim sum to lamb popsicles. If you love steak, Mendoza is famous for the size and quality of its beef. This city has “asados,” barbeques where beef is cooked alongside other meats using region-specific techniques. The region is also known for its wine. Malbec, a specific grape variety, is grown in the countryside just outside the city. Grab a glass of wine and chow down on some perfectly cooked steak. Sydney is more than just beautiful beaches and opera houses. It also has some of Australia’s best food. The city has perfected the art of Asian food, offering everything from modern Cantonese to Japanese-fusion. It also has some of the world’s coolest coffee joints. Grab a cup at one of Sydney’s famous coffee bars, such as Edition Coffee Roasters. Italy is responsible for some of the world’s favorite foods. Spaghetti. Lasagna. Pizza. The list goes on. If you’re searching for authentic Italian cuisine, swing by Bologna, where many of those favorites originated. Bolognese sauce is named after the city, as is the sausage. Bologna is known in Italy as “The Fat One” thanks to its foodie reputation. Visitors looking for a hearty Italian meal won’t be disappointed. The entirety of France is a foodie’s paradise. From the wine to the bread to the cheese, the French know how to make good food. If you want to sample some of the country’s best food, make the trip to Lyon. Lyonnaise food is famously rich, and many of the best local restaurants serve meals lasting many courses. Make sure to try local specialties like pink pralines, cervelle de canut, and fried tripe. The city also has a number of famous chocolatiers, like Bernachon. If you’d like to sample some world-class food while surrounded by beautiful island scenes, book a flight to Gustavia. This Caribbean destination was once a French colony, and the residents inherited their love of good food from France. Gustavia is perfect for lovers of gourmand cocktails; they have rum-based alcohol concoctions you couldn’t dream up if you tried. The cuisine is heavy on local favorites like codfish fritters and celebrity favorites like raw greens smoothies. Barcelona has a wide range of worthy restaurants. There are the gastronomically adventurous eateries inspired by the now defunct El Bulli, one of the most famous restaurants in the world. There are hole in the wall tapas joints that serve some mean seafood. And there are the restaurants that boast a Michelin star or two, and cater to the city’s frequent foodie visitors. Get in on the action and head to this Spanish locale for some of the world’s best food.